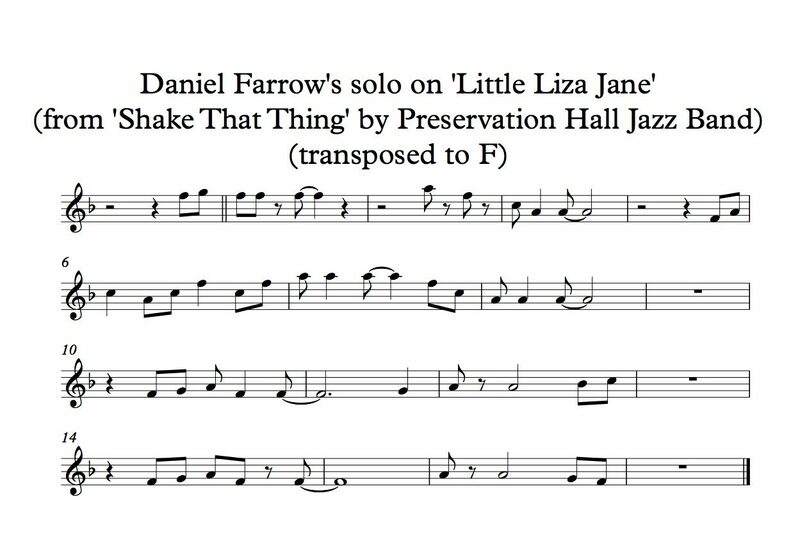 ‘Liza Jane’ is a North American folk tune that is a standard in the repertoire of New Orleans jazz. It has been performed by musicians from pianist Ramsey Lewis to trumpeter Wynton Marsalis. 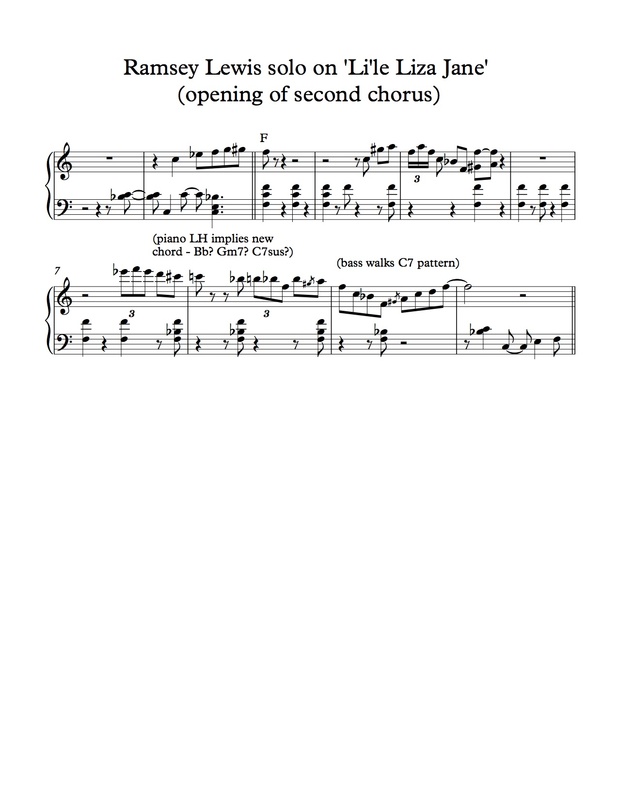 It is an example of the strong African influence in New Orleans music, as the B section of the tune (usually sung with the words ‘Oh Eliza, little Liza Jane’) is very similar to the African tune ‘Funga Alafia’ (also known as ‘Fanga Alafia’), which is described in the notes of a recent choral arrangement as being Nigerian in origin. 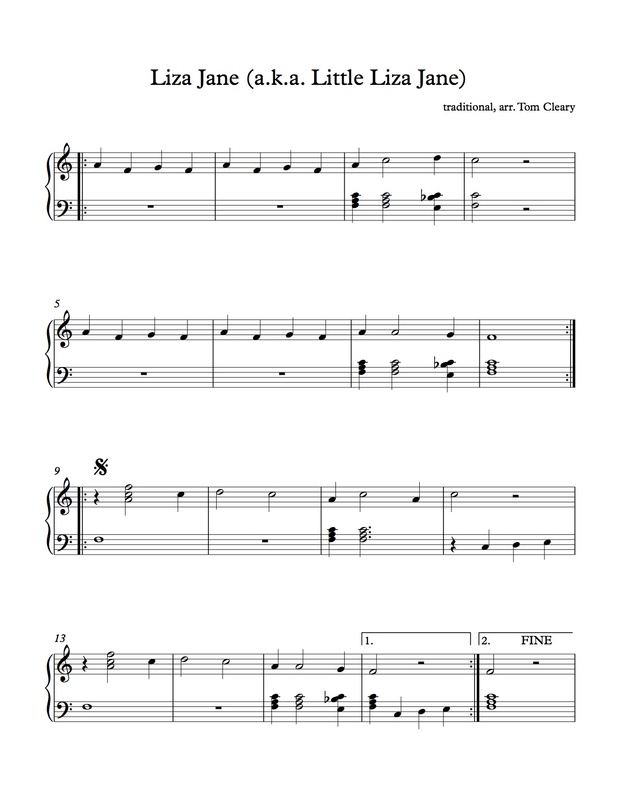 The two tunes are even sung together in another recent choral arrangement. 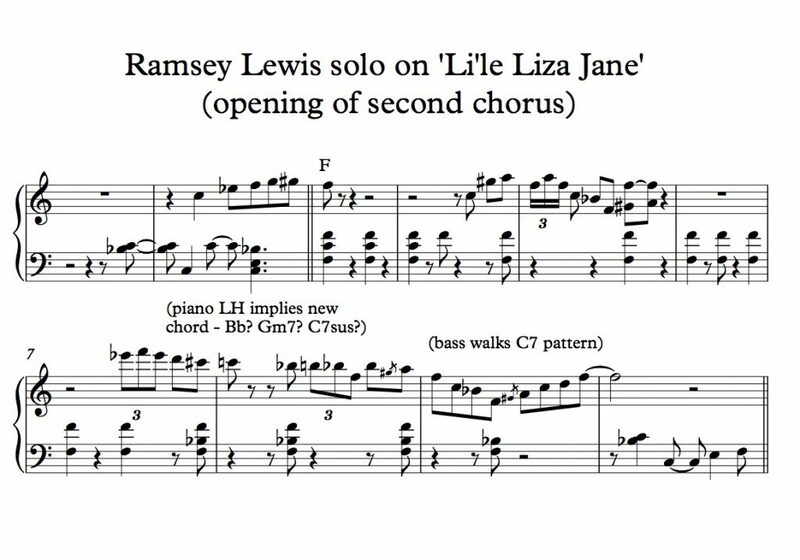 The version by the Ramsey Lewis Trio skips the traditional A section of the tune and creates a 32 bar AABA form where the A is the traditional B section from ‘Liza Jane’ and the bridge is a progression moving from D minor back to F. In the first chorus of Lewis’ solo, the piano and bass both stay with the F7 chord throughout the A section; in the second chorus (which begins around 1:30), his left hand begins to vaguely imply a different chord in the fifth measure, and Eldee Young on bass reacts to the implication in m. 7-8. What is most interesting to me here is the way Lewis’ choice of notes cannot be interpreted as coming from a single scale. 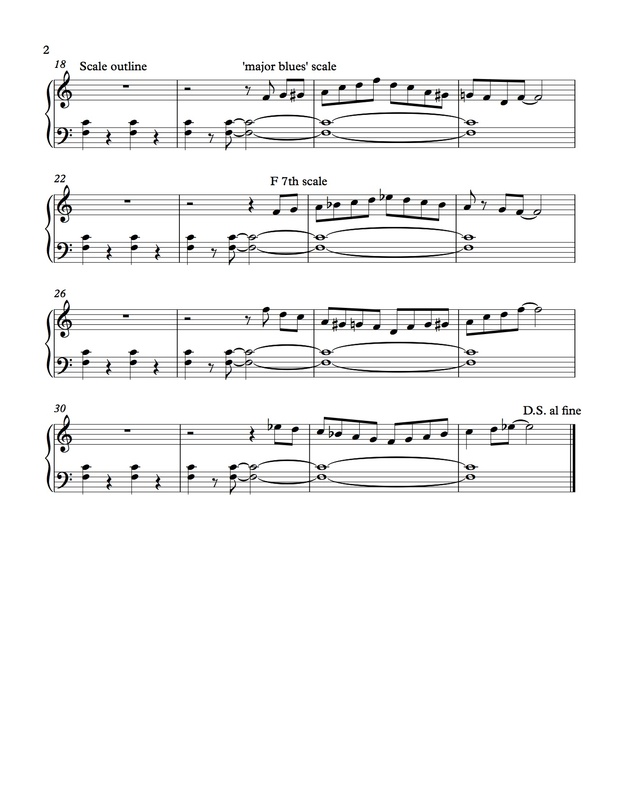 My own arrangement of the tune is below. In the scale outline I’ve added to the tune suggests improvising with a ‘left hand call, right hand response’ approach and using two scales that Lewis uses in his solo, the F ‘major blues’ scale (the major pentatonic scale plus the flatted third) and the F seventh scale.